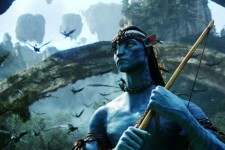 "Avatar," a live action film with a new generation of special effects, takes us to a spectacular world beyond imagination, where a reluctant hero embarks on a journey of redemption and discovery as he leads an epic battle to save a civilization. James Cameron, the Oscar-winning director of "Titanic," first conceived the film years ago, when the means to realize his vision did not yet exist. Now, after four years of actual production work, "Avatar" delivers a fully immersive cinematic experience of a new kind, where the revolutionary technology invented to make the film disappears into the emotion of the characters and the sweep of the story. The story's hero is Jake Sully, a former Marine confined to a wheelchair. Bitter and disillusioned, he's still a warrior at heart. All Jake ever wanted was something worth fighting for, and he finds it in the place he least expected: on a distant world. Jake has been recruited to join an expedition to the moon Pandora, which corporate interests are strip-mining for a mineral worth $20 million per kilogram on Earth. To facilitate their work, the humans use a link system that projects a person's consciousness into a hybrid of humans and Pandora's indigenous humanoids, the Na'vi. 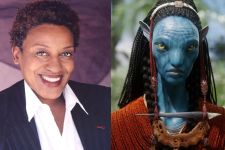 This human-Na'vi hybrid – a fully living, breathing body that resembles the Na'vi but possesses the individual human's thoughts, feelings and personality – is known as an "avatar." In his new avatar form, Jake can once again walk. 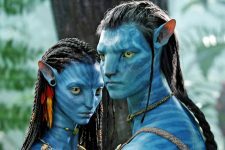 His mission is to interact with and infiltrate the Na'vi with the hope of enlisting their help – or at least their acquiescence – in mining the ore. A beautiful Na'vi female, Neytiri, saves Jake's life, albeit reluctantly, because even in his avatar body, Jake represents to her the human encroachment on the Na'vi's unspoiled world. As Jake's relationship with Neytiri deepens, along with his respect for the Na'vi, he faces the ultimate test as he leads an epic conflict that will decide nothing less than the fate of an entire world. 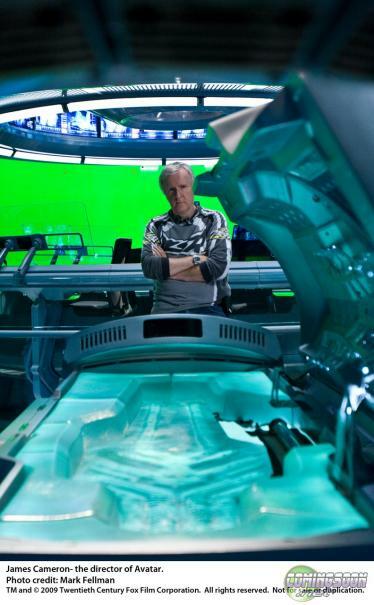 James Cameron and Dark Horse Announce Avatar Comics!